President Ramnath Kovind gave clarion call to people to perform the “sacred act” of voting, emphasising this year’s polls should be seen as a “once-in-a-century moment” that will shape the India of the remainder of the 21st century. 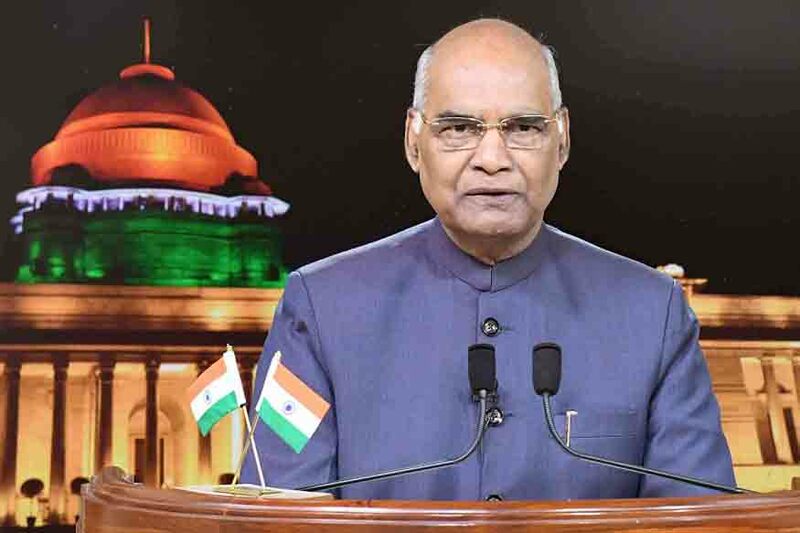 In his customary address to the nation on the eve of the 70th Republic Day, the President said development of the country cannot be completed without a salute to the “spirit of inclusiveness and pluralism which rests on a “tripod of diversity, democracy and development”. My greetings to all of you on the eve of our 70th Republic Day! This is an occasion to commemorate the values of our democracy and Republic. This is an occasion to reaffirm our commitment to liberty, fraternity and equality across our society and among all our citizens. And above all, this is an occasion to celebrate India and the spirit of being Indian.2. Every Republic Day is precious and every day in the life of our Republic is precious. Yet this year is a little extra special. On October 2, we will mark the 150th birthday of Mahatma Gandhi, who led us – and who inspired oppressed societies in Asia, Africa and elsewhere – to freedom from colonial rule. Gandhiji remains the moral compass of our Republic; his teachings are still the touchstone to measure our policies and initiatives. His 150th anniversary is not for India alone; it is a joy to be shared with the world.3. A few weeks after Gandhiji’s birthday, on November 26, we will mark the 70th anniversary of the adoption of our Constitution. This enlightened and far-reaching document laid the foundations of our Republic. It was the work of men and women of principle and patriotism – the members of the Constituent Assembly. In particular, we recall the role of Babasaheb Dr Bhimrao Ambedkar, who chaired the Drafting Committee. In his honour, and in our Constitution’s honour, the nation will celebrate Constitution Day this year in an appropriate manner.